In the age of millennial kids, it gets difficult to get them off their devices. 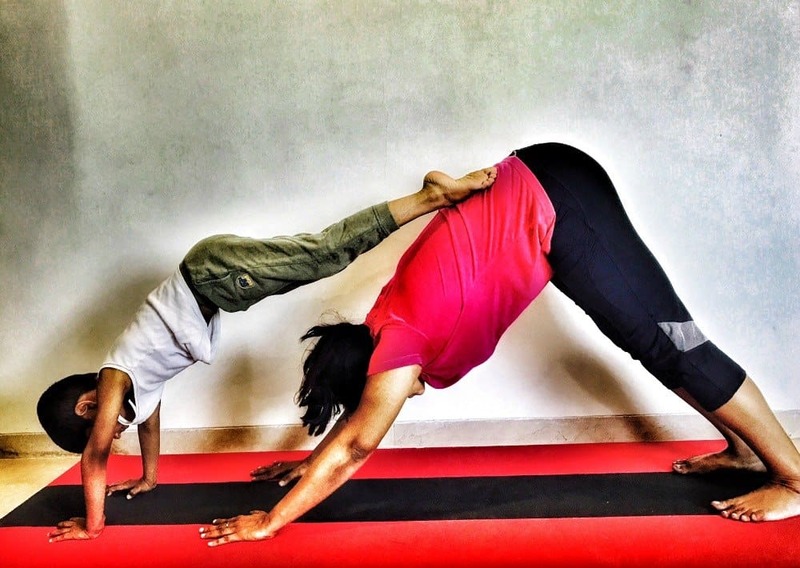 Since I practice yoga, I really wanted my kids to adapt it too but pushing something down their throat is not going to help. I knew they might end up hating it. So I try and make it fun, be it the concept of yoga for kids or of loving your environment. Both of these are important concepts which are a part of our roots and have to be inculcated in their young minds. We as a family are slowly treading towards sustainable living and trying to make small changes in our lives; like eating organic food, drinking A2 milk, keeping and caring plants in the house,trying to reduce plastic from our lives, using public transport more often, switching off all electric points when not in use, not keeping tap open while doing simple tasks like brushing teeth and more. We have also become more conscious of the stuff we buy, not only should it be useful, it should be environmentally friendly and when we came across Vaya Drynk bottles there were many factors for which we really liked them. We loved the sleek design and the fact that it is handy and sleek. While ordering for the Vaya Drynk bottle, my kids and hubby pestered me to buy the black and steel range as they decided they are going to use these. The fact that it can be used as a sipper for hot drinks and as a flask or even as a glass if we remove all the lids were very appealing. The inner wall is food grade steel. Exactly how my hubby described it. It comes with two glasses which get screwed on to the top of the bottle. Even when you are travelling by car, this sipper can be used to carry your tea and coffee. Since this has no leaks due to its magnetic latch, your car is safe. My hubby tells me it’s a great advantage. As for me, I have started using it as my workout companion. So good to get cold lemon water after my rigorous workout in this heat. I can sip directly from the flask or pour it into the glasses and drink from it. We love how one bottle can solve so many things. If there is one thing that I could change in the design, it would be the use of steel cover and glasses instead of plastic. However, just to let you know the plastic used is BPA free and so has no negative impact on the environment ie no Bisphenol A, an industrial chemical used while making it. The price of this varies from 1290-1800 based on the variant you select. It comes in two sizes 600ml and 350 ml and in four colour choices. Black, Gold, Silver, and Purple. 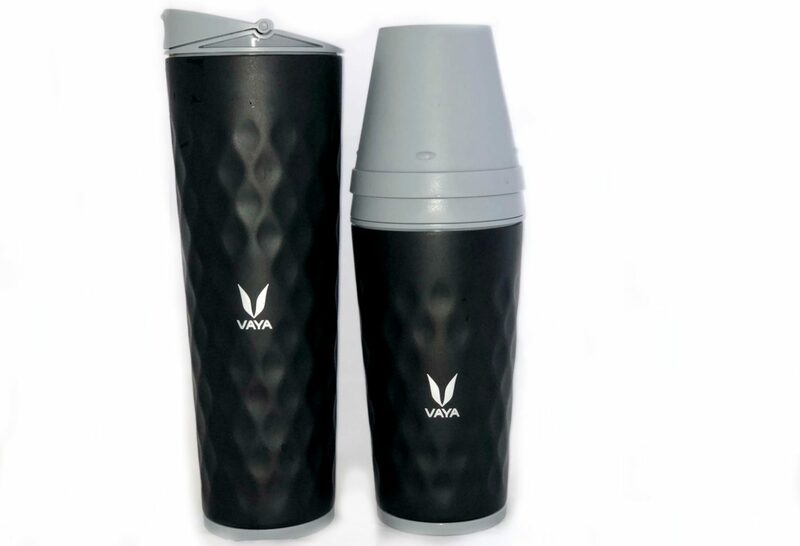 The deal gets better as you can buy a snack container which can be placed inside these Vaya Drynk bottles and in one product, you get many benefits. 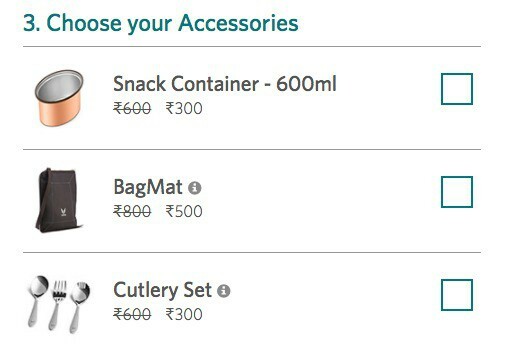 You can also buy a bag mat in which you can carry the bottle. Vacutherm technology which maintains the temperature of the liquid inside it; Hot for 8 hours and cold for 12 hours. 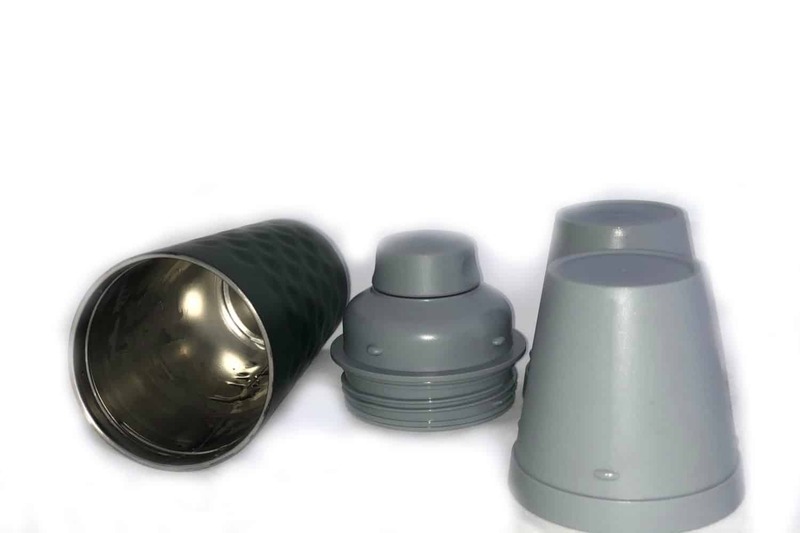 You can use it as a sipper and as a flask or even as a glass if we remove all the lids. BPA free lid So they do not have a negative impact on the environment. You can use it to store water, juices, tea, coffee or even smoothies. « 5 Best Books To Read For Kids This Summer Vacation! Hello! Thank you! You can check out the variants, their prices and also make a purchase on our website. I love the design of the bottle and this is definitely the best workout companion. We agree! We also have a range of vacuum-insulated lunchboxes! Perfect to keep food warm when you’re on the go! I especially loved the sleek designing this bottle. The look and design of these bottles are lovely, indeed they can be used multi-purposely. The bottle looks really classy and the design is pretty and unisex! And made from plastic that has no harmful effects is something great! Would like to get this for myself! This bottle looks like the perfect companion for our next road trip. 8-12 hours is unheard of! i have tried so many flasks and they all work at best upto an hour for hot and 2 hours for cold liquids! I like the design and multi-functionality of this product. Price is steep for this though. You should stay tuned to our page for upcoming offers! It is really very useful.